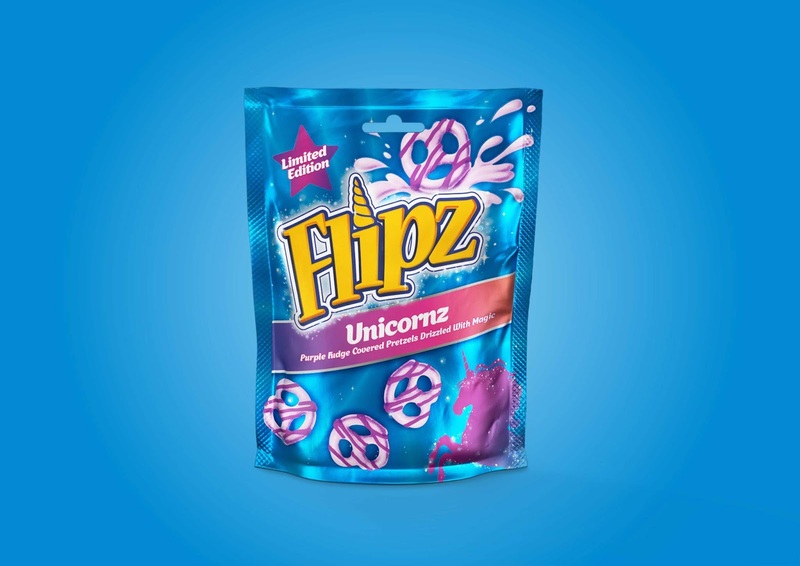 Anthem Worldwide, the global creative agency, has continued its partnership with pladis, the global snacking company behind some of the UK’s most-loved snacks, to develop packaging designs for an exciting new special edition variant for Flipz, the chocolate covered pretzel snack. 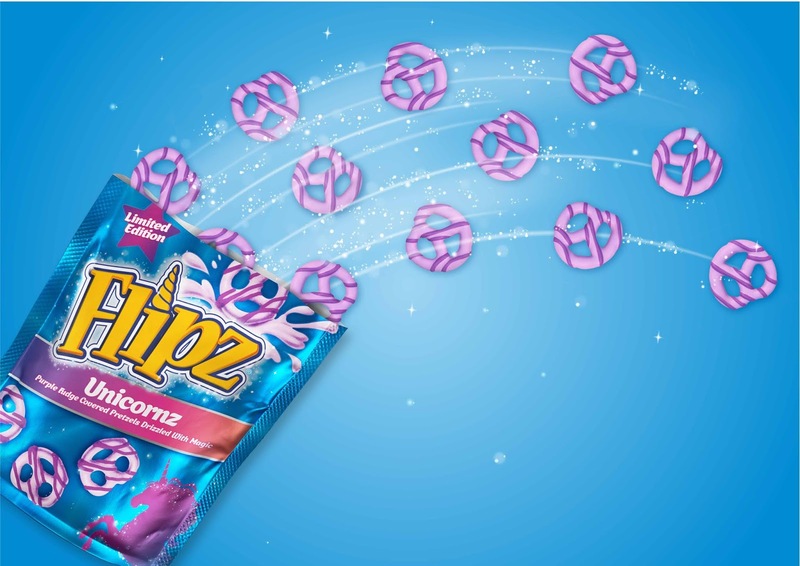 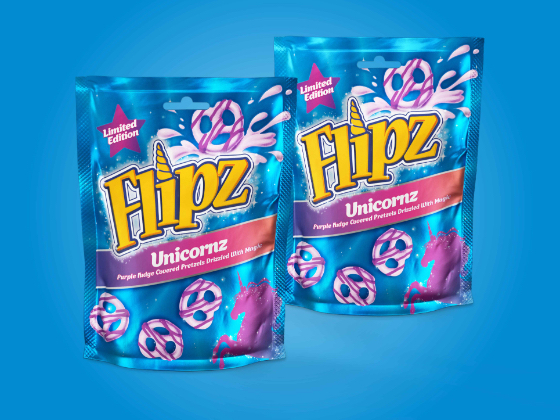 Building on the unicorn craze that has swept the country, pladis UK&I have responded to the popularity of the mystical animal by launching Flipz Unicornz; crunchy, salty pretzels with smooth purple fudge flavour coating, drizzled with Unicorn magic. 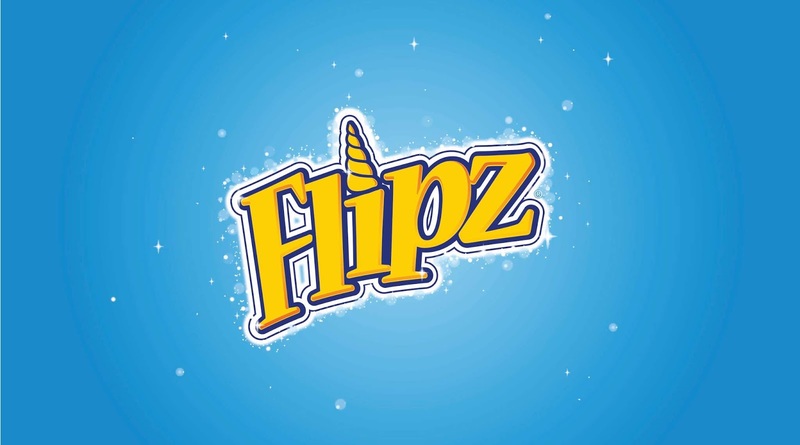 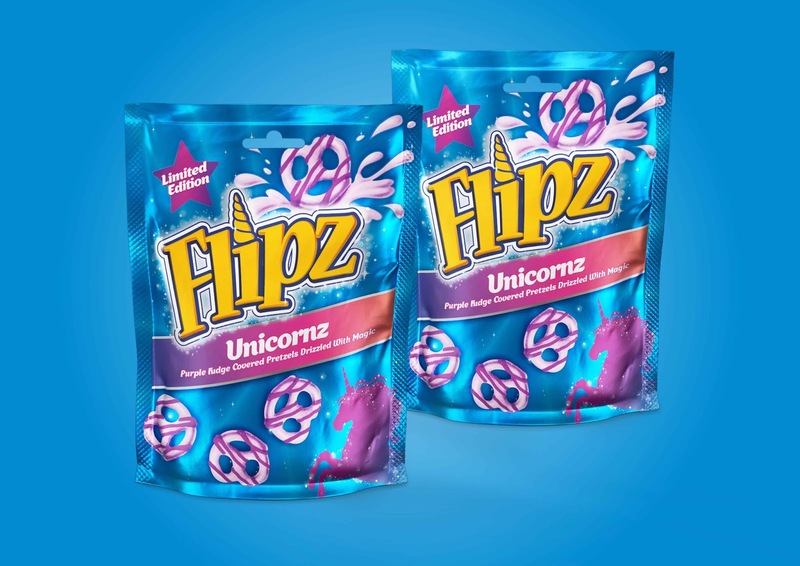 Launching to coincide with Asda’s ‘Unicorn Aisle,’ Flipz Unicornz follows the same great recipe as the original milk and dark chocolate Flipz but with a magical twist that’s Instagram-worthy.